The United Nations wants your money. The UN started the global warming scare in order to strengthen its position as a global government. After the Copenhagen conference the western world was supposed to deliver the cash. But there’s a problem when “rich nations are demanding transparency in developing nations' actions to tackle climate change. There must be much better verification of developed countries' finance proposals,"
The head of the UNFCCC, Yvo de Boer (appointed by Kofi Annan in 2006), is mainly focused on transferring money for development in third world countries: “"Yvo often defends developing countries, sometimes with strong statements insisting that the northern hemisphere has to pay up”. The United Nations Millennium Development Goals: “Climate change threatens sustainable development, especially the Millennium Development Goals (MDGs). Unless adaptation to climate change is funded through additional channels, the growing impact of climate change is expected to consume an increasing share of development aid. Official development assistance alone amounted to $120 billion in 2008. This amount is already insufficient to reach international development goals“. 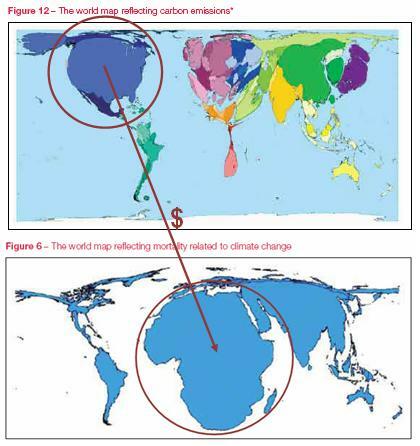 Africa wants $67 billion per year for global warming payments. 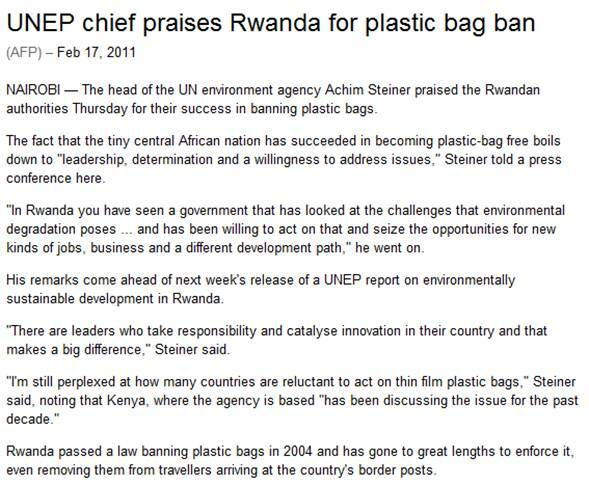 The UNEP praises plastic bag issues – ignores population issues in the country with the 16th highest population growth rate in the world, most densely populated country in Africa and ranks 194 in the world for life expectancy.